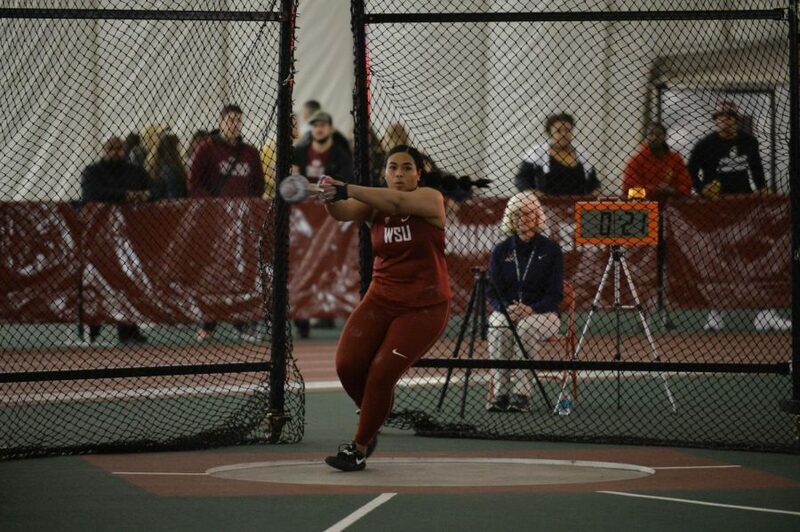 Redshirt sophomore weight thrower Lovely Tukuafu prepares to throw the weight at the WSU Open Indoor Open on Friday at the Indoor Practice Facility. 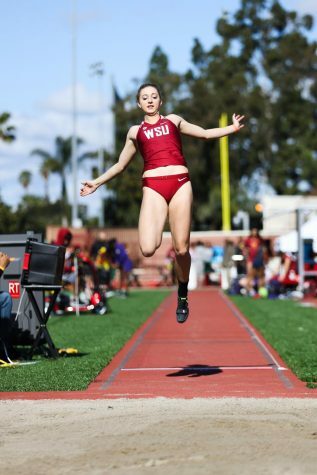 WSU track and field will compete in the Sam Adams Invitational on Thursday and Friday in Spokane. Events will begin at noon both days at the Whitworth Pine Bowl. 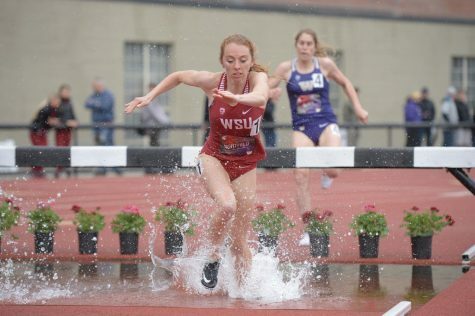 The heptathlon 100-meter hurdles will open the meet, followed by the decathlon 100-meters on Thursday. 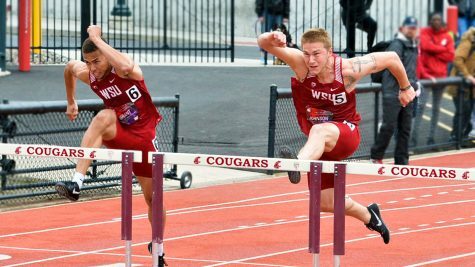 The decathlon 110-meter hurdles will kick off the events on Friday. 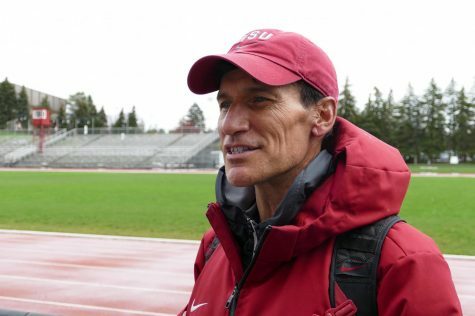 On Thursday, there will be four heptathlon events, five decathlon events, women’s and men’s hammer, men’s and women’s javelin and the women’s and men’s 5k. 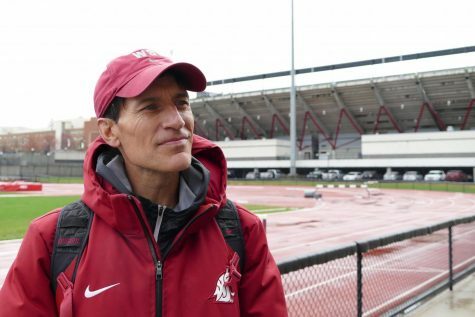 Wayne Phipps, WSU director of cross county and track and field, said it is an advantage for the team to have the meet close to home so they can stay in their normal schedule. 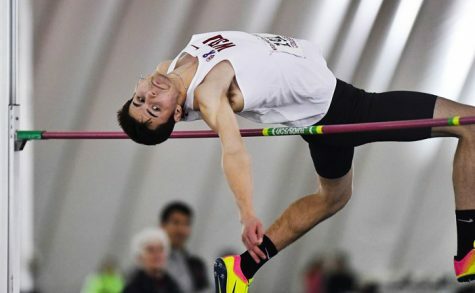 Competing at the Sam Adams Invitational gives the athletes another opportunity for competition without traveling, Phipps said. This also helps prepare the team for next week when they travel to California, he said. 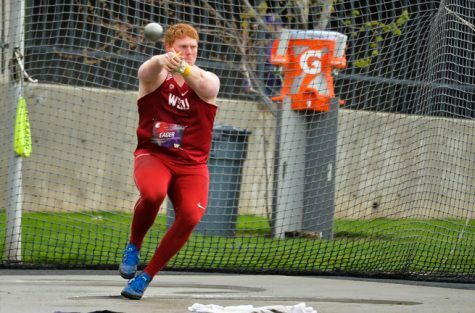 Last weekend, in the outdoor season opener, 32 Cougars placed in the top-five and five won their event. However, most of the events have not been outside, Phipps said. 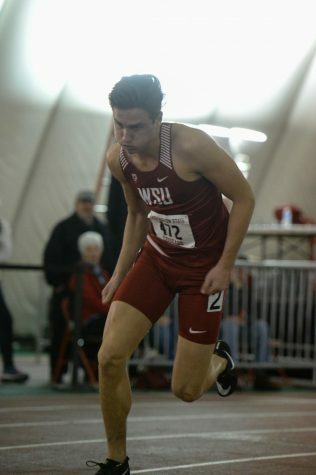 While there are not any specific events Phipps wants to see improvement in, he said this is an opportunity for athletes who did not compete last weekend to prepare for the rest of the season. The Cougars will have a short drive north for the second meet of their outdoor track and field season starting at noon on Thursday.